Migratory birds, by the nature of their behavior, cross boundaries. They are transcontinental species whose habitat in North America ranges from the Canadian arctic to Mexico. As such, the human conservation of these species has historically been complicated by the challenge of managing a mobile resource. The 1918 Migratory Bird Treaty between Canada and the United States was one example of the need to work across boundaries and borders in order to conserve these species of birds. But even within national borders, the conservation of migratory birds faced trans-boundary challenges. One of the greatest threats to migratory wildfowl on the Pacific coast of North America was the draining and destruction of wetlands in the U.S. West, particularly in California. By the early twentieth-century, irrigation agricultural dominated the landscape of most of the former wetland wintering range of migratory birds. As such, the U.S. Bureau of Biological Survey (later the Fish and Wildlife Service) set out to establish a system of refuges to conserve and protect migratory wildfowl along, what came to be known as the Pacific Flyway. 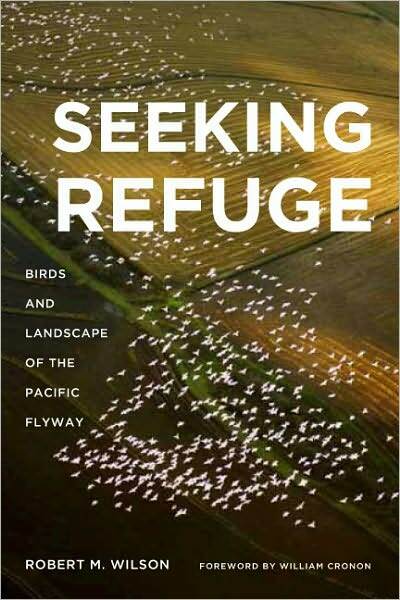 On this episode, we speak with Robert M. Wilson, author of the new book, Seeking Refuge: Birds and Landscape of the Pacific Flyway. ← Canadian Women’s Rights: Mission Accomplished?